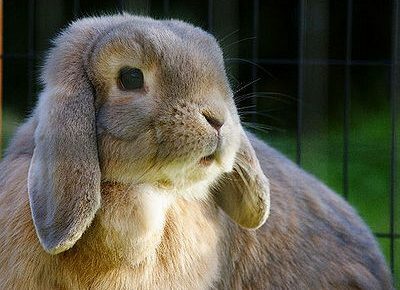 The Pet Wiki > Rodents > Guinea Pig Articles > What cages, accessories and food do I need for a Guinea Pig? What cages, accessories and food do I need for a Guinea Pig? February 20, 2012 Comments Off on What cages, accessories and food do I need for a Guinea Pig? Guinea Pigs like to move around a lot and are very fast and need space. The larger the cage, the happier your pet. Cages with solid bottoms and removable trays make for easier clean-up. Cages should be cleaned every week to 10 days. The cage should be kept in a light area, but out of sunlight and drafts and away from heaters. Bedding for the cage should not have a strong odor to prevent respiratory problems. Recycled paper or aspen shavings are the best and are absorbent. We had a wooden house in the cage for our Guinea Pig, but plastic is good too. You’ll need a ceramic bowl or 2 for food and a rack on the cage for hay. A hanging water bottle should be attached to the side of the cage. Untreated wooden blocks will satisfy the need for gnawing. Check with your pet supplier for appropriate toys for your Guinea Pig. They also enjoy chewing on toilet paper and hand towel rolls, empty of course. 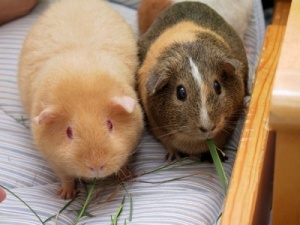 Guinea Pigs don’t produce Vitamin C as other animals can, so they need foods and treats high in C. Ready mixed food can be purchased from your pet supplier and should be labeled for Guinea Pigs. They should have a fresh supply of timothy, oat or grass hay along with fresh fruits and veggies. Dispose of any uneaten fresh food daily. Give your Guinea Pig fresh water daily.